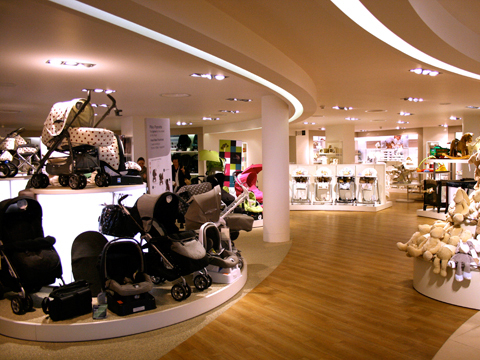 Working with Four IV Design Consultants, I was tasked with the design development, and implementation of three flagship Mamas and Papas stores across the UK, towards the end of 2007. 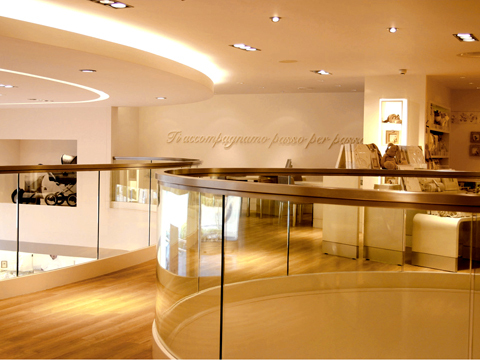 The client allowed us an unusual amount of freedom within the interior architecture of the Liverpool flagship site, resulting in sweeping glass balustrades, and mezzanine, which complemented the signature fixturing, common to all M&P stores. Three 5,000ft2 shops went on site concurrently, and were completed on extremely ambitious programs. 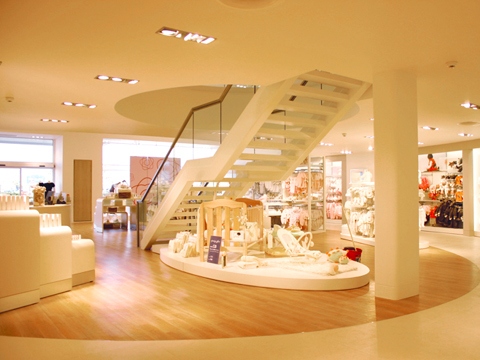 The Liverpool store (pictured) was nominated and short-listed in the Best Store Design category in the 2008 Retail Interior Awards.